For centuries we have been close to the sea , almost lapped by the waves . 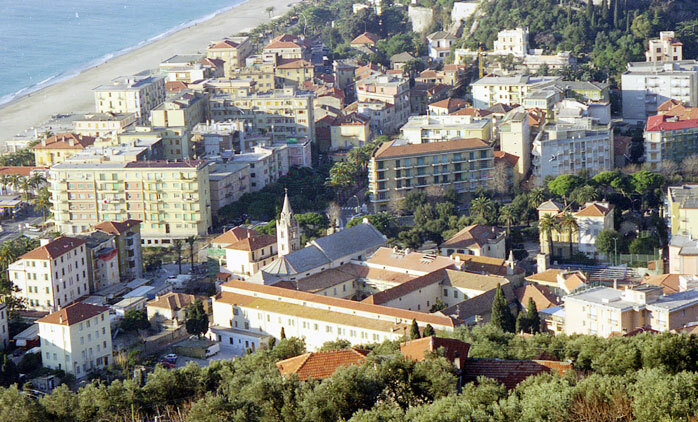 Today we are still close to the sea , but surrounded by many houses. 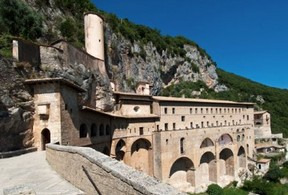 Monasticism can seem like a phenomenon of the past . Yet the monks - while leading a private life - are present also today . Those who feel the call of the voice that resonates in the silence of the heart , he knows where to find them . It is proof of the fame achieved by the film Great Silence , shot in the Grande Chartreuse monastery in the French Alps near Grenoble . Grande Chartreuse , founded around the year 1080 . 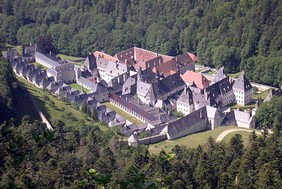 Benedictine Monastery of Finalpia , founded by a Bull of Pope Sixtus IV of 21 September 1476 . The evocative Word that St. Benedict heard in the middle of the first millennium , continued to resonate with the passage of time . 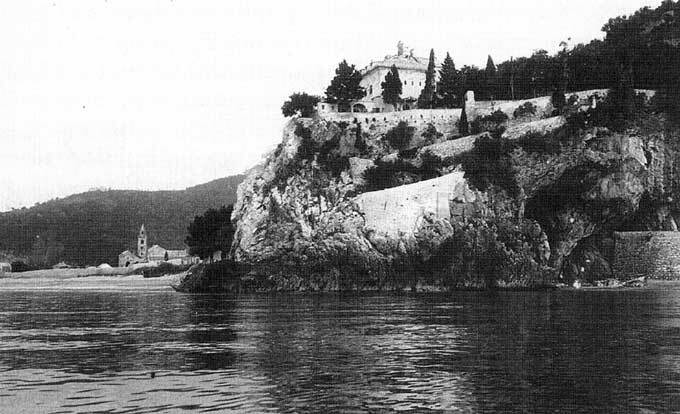 After the Papal Bull , the construction of the Abbey of Finalpia finally began in 1491 . The beauty of a Word so ancient and so new still enact all the charm , for those who feel it vibrate . Next to the front door to our Monastery there is this shield (stone medallion). 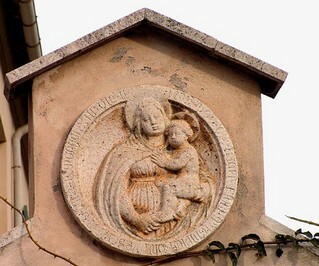 The clypeus - overlooking the ancient entrance of he vegetable garden of our Monastery (now the entrance is walled) depicts a Madonna and Child. The inscription on the outer edge, in Gothic characters, dates back to 1463 and shows the name of Viscontina Bernabé Adorno, wife of John I of Carretto. This clypeus was originally in the Palace of the Marquis of Carretto in Finalborgo, now the Court House. Who knows when and how it got here!? In the Irish church of Navan there is the Adoration chapel where Jesus the Eucharist is exposed 24 hours a day. Click HERE and ... wait ... without concern: the speed of the connection depends on your Internet speed. We can thus get in touch, with our eyes and our heart, with Him. It is not a mirage or an illusion, but a concrete place of this world, where He really exists and we see Him as He is today manifested before our eyes.